Jakarta, April 27th 2015 â€“ Following the growing popularity of its Hotel NEO brand, Hotel NEO Penang - Malaysia joins Archipelago Internationalâ€™s portfolio in Malaysia. 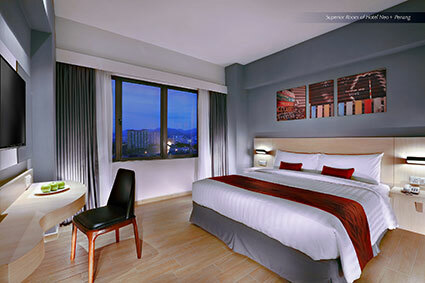 Hotel NEO Penang â€“ Malaysia is the first Hotel NEO which opens in the popular island destination, underscoring the brand's strategy to accelerate expansion nationwide. Hotel NEO Penang - Malaysia sits the very heart of in George Town just around the corner from Komptar, the islands tallest landmark. Penang, known as the â€œPearl of the Orientâ€, is located on the north-west coast of Peninsula Malaysia, nearby to the picturesque Strait of Malacca. Making the most of this prime island location, Hotel NEO Penang - Malaysia features 196 guest rooms and suites decorated in a modern-contemporary style that befits the new trends in hotel design. With uncluttered open spaces, the atmosphere is at once stylish and relaxed, topped off with twenty-first century conveniences such as complimentary high-speed WiFi, LED TVs and home entertainment systems. Each of the rooms is also equipped with luxurious creature comforts, like high-quality beds and pillows, tea and coffee makers, and a writing desk with universal electrical outlets. Bathrooms are equally as inviting, with large standing showers, fluffy cotton towels and complimentary bathroom amenities. The hotel also features 4 meeting rooms, 2 function rooms, a swimming pool & gym, as well as a Lounge & Bar for private events, weddings, meetings and exhibitions. "Penang is one of the most dynamic destinations for business and leisure travel and we are thrilled to now offer travelers the Hotel NEO acclaimed value proposition â€“ a great at great rates. 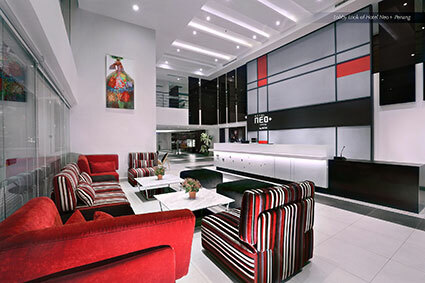 Hotel NEO Penang â€“ Malaysia also promises a complete smoke-free environment â€“ one of the defining features of NEO Hotels that ranks them as a trendsetter and only 100% non-smoking select service hotel brand in the region. NEOs also offer guest rooms with a full set of amenities and up market facilities without the high price-tag, staying truthful to the group's credo that well designed and exciting hotels do not need to be expensive." said Tenaiya Brookfield, Archipelago International's VP Sales & Marketing.